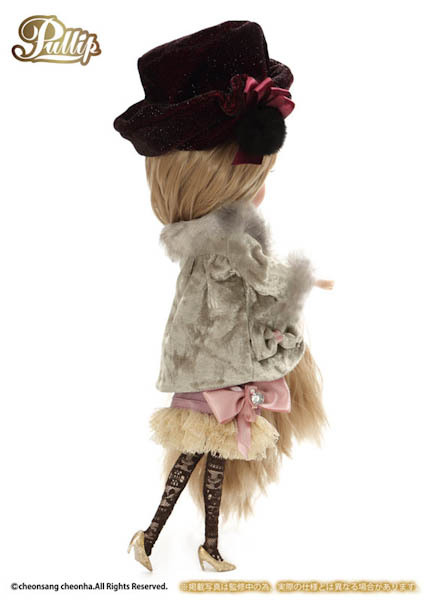 Leaping straight out a 1920's scene is a elegant high society girl named Pullip Katrina! 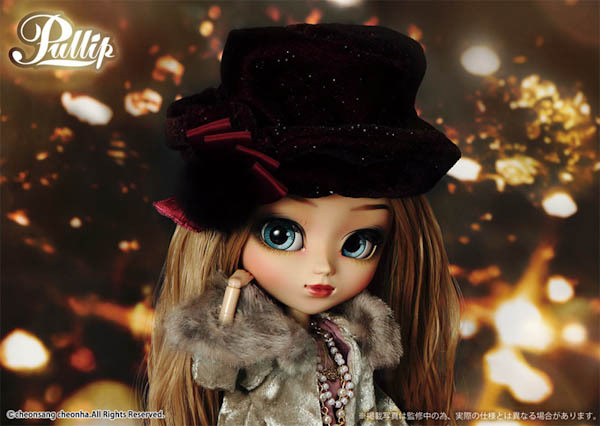 This romantic girl will make December 2016 glisten brightly with her ravishing personality. Katrina is wearing a vintage inspired outfit that resembles the fashion worn by young free spirited women during the 1920's period. The fashion during The Roaring Twenties featured drop waist dresses and the women who wore this new style were known as flappers. 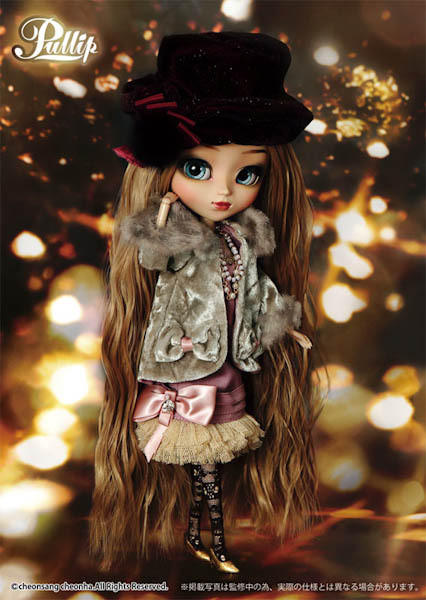 Looking at Pullip Katrina I think she was heavily inspired by the historical era. 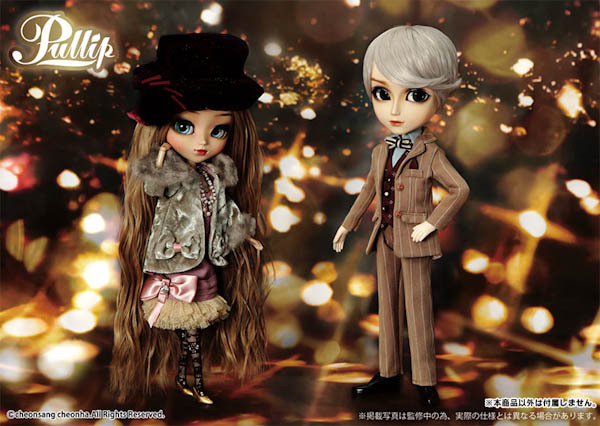 Pullip Katrina was announced along with Taeyang ReonHARDT, a dapper young gentlemen who looks pained. I wonder what the relationship is between the 2. Is it an unrequited love, hence why ReonHARDT appears melancholy? 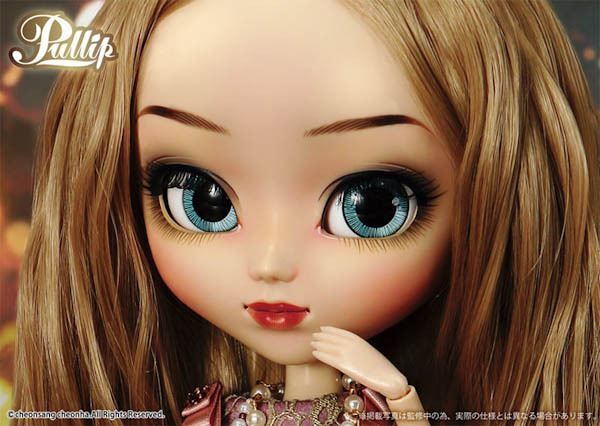 Katrina's faceup is. . . IMPRESSIVE! 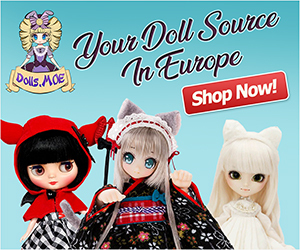 I love her dramatic faceup, it's been a while since we've seen a bold Pullip. I hope the images are not heavily processed, because this girl will be a winner if her actual release looks exactly like the promo photo. The auburn gold tones of her makeup is remarkable. And her prominent eyebrows that gradually changes in color; starts out as light chestnut brown and darkens to a deep almost black tint and finally fades to a golden honey hue is a nice detail. 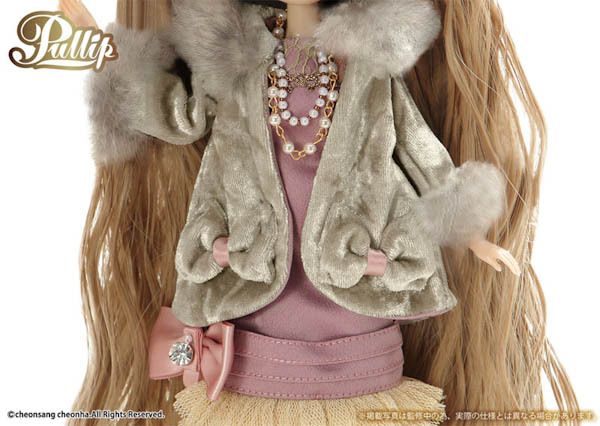 The jewelry around her neck is super cute, it's fun to see dolls accessorizing too. People would often mistakenly mispronounce my name, they'd leave out the A. 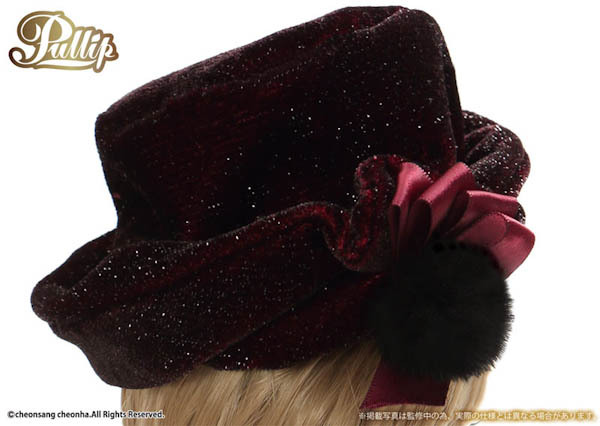 A few things I would change with this release are her fishnet stockings & velvet wine hat. To me they're clashing with the whole feminine & sweet appearance & throw the look off. Other than those issues, the rest of Katrina looks fab! What story do you have for Katrina's & ReonHARDT's releationship? What do you like about this release & what would you change? And will you be spending the holidays with Katrina or will another doll keep you company? 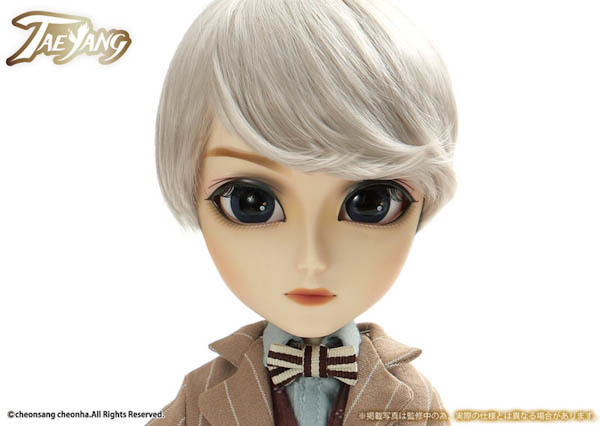 I have saw her in doll shop but i think the make up is too strong. I don’t like her so much for this reason. Red’s lips and eyes’s color are very beautifull. Outfit is nice but classic for my part. Now that is interesting, normally the actual dolls faceup is not as strong as the promo pics. I’m surprised to learn that Katrina’s makeup is strong. Thanks for let us know about Katrina’s makeup. Indeed, it’s seem Groove have change something in the make up of many recently released doll, it’s my own opinion but i think about they use a make up whose be more strong in the brown color. If that’s be liked by some people, its the most important. I’m curious to see what makeup techniques Groove Inc will apply to the future Pullips. One collector seen prototypes of some dolls and she was really excited about their look in 2017. I’ll be keeping a watch to see if they will continue with strong make up. Yeah, I think flesh-colored stockings would look prettier. 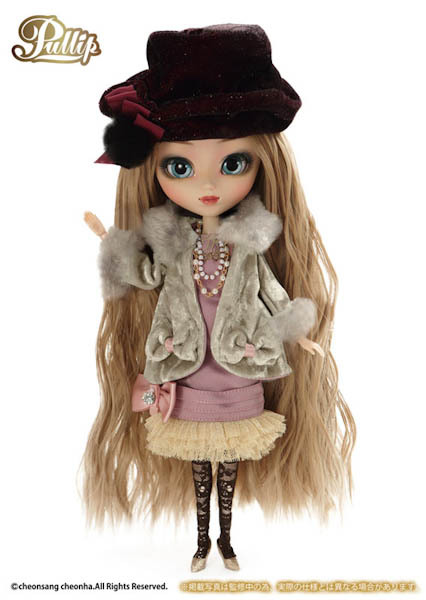 I agree, its so nice to see dolls having these type of accessories. 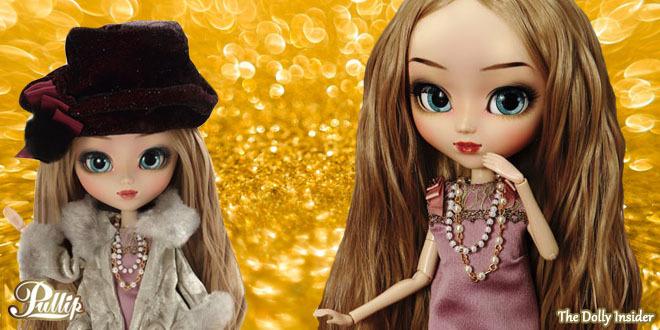 Let’s hope Groove continues releasing dolls with accessories like bracelets & necklaces. I can’t wait to see owner images of this girl, I bet she will look spectacular in person. 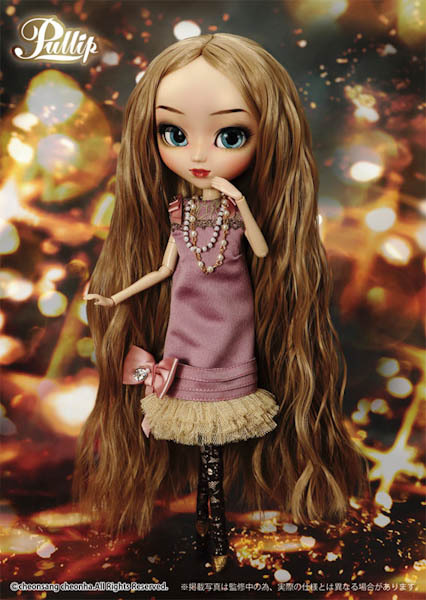 Thanks for sharing your opinions about Pullip Katrina!